Illinois guard Trent Frazier (1) dribbles around his defender during the game against Indiana at State Farm Center on Wednesday, Jan. 24, 2018. The Illini won 73-71. 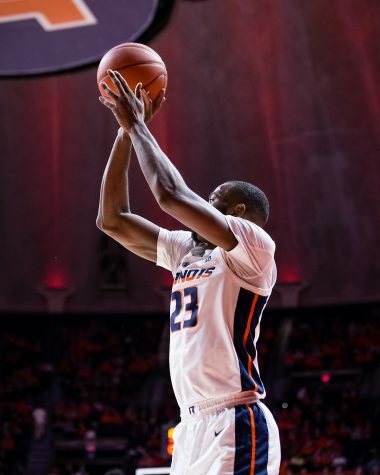 Despite another solid start, the Illini were unable to hang on and dropped their third straight game. A poor shooting night from Trent Frazier and little contribution from anybody else besides Leron Black was a recipe for disaster. But, there was more to it than just that. 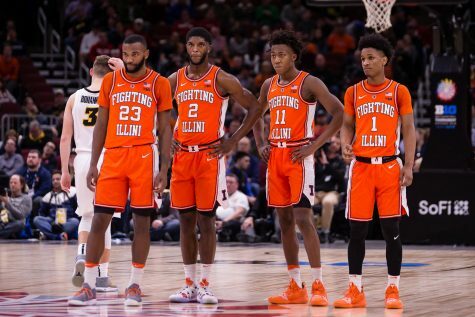 Here are a few of my takeaways from the Illini loss. 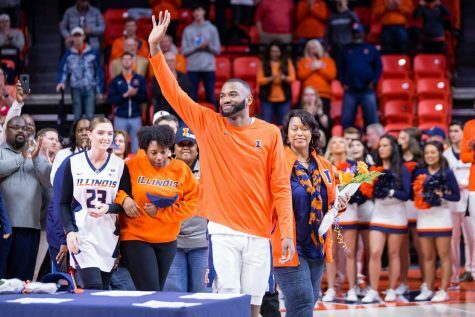 It’s nothing new, but the Illini suffered through what would prove to be another fatal scoring drought on Sunday evening. They opened up the second half failing to score in the first five-plus minutes before a Black hook shot put Illinois on the board. But, even with that start, Underwood and Co. were unable to get it going in the second half, scoring only 16 points in the final 20. 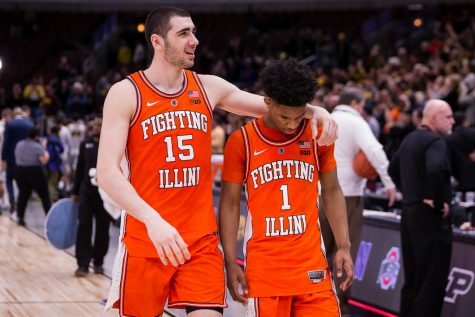 Considering that the Illini led for the majority of the first half before eventually surrendering a one-point deficit before the half, it’s safe to say that the drought is what lost them this game. While we do not know if scoring a little more would have necessarily made the biggest impact, we can definitely say that it took them out of any real form of contention. 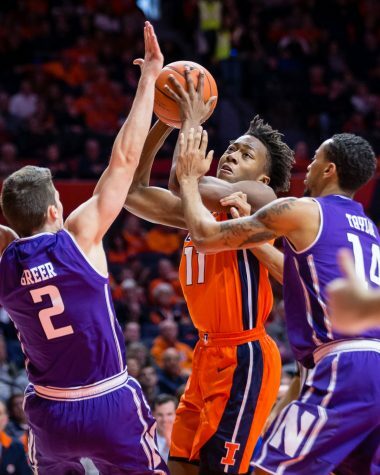 Frazier’s shooting woes contributed, but the team’s overall foul trouble and issues in creating shots all but took the Illini out of this game. 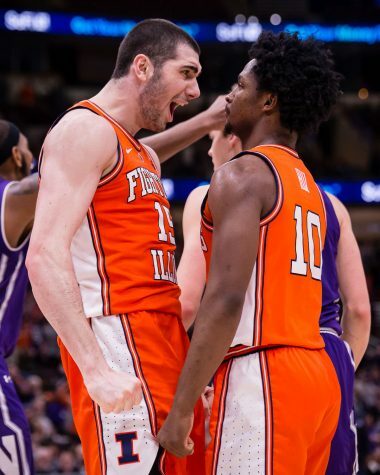 Riding high after a career-best 32-point game in the last outing against Michigan, Frazier might have had a little extra pressure to have a big game against Penn State. He did not. The freshman guard shot just 2 of 11 from the field, good for just six points. 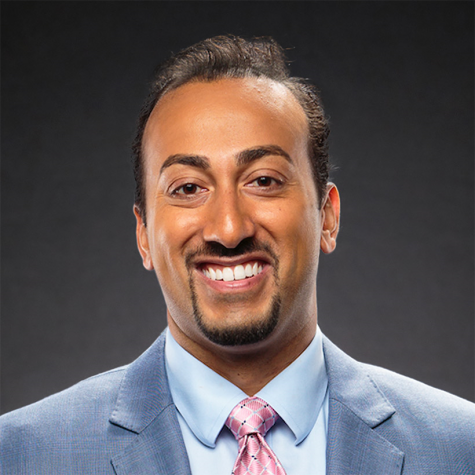 While it was a disappointing night for Frazier, it is something that has to be expected every now and then. After all, he is just a freshman. Frazier has played above and beyond expectations all season and even in a night like tonight, his impact was felt. While his numbers may not support it, Frazier was still one of the biggest focal points in the offense and though his shot was not falling, he still set up many other possessions. All night, the lack of athleticism on the floor showed when matching up with the Nittany Lions. 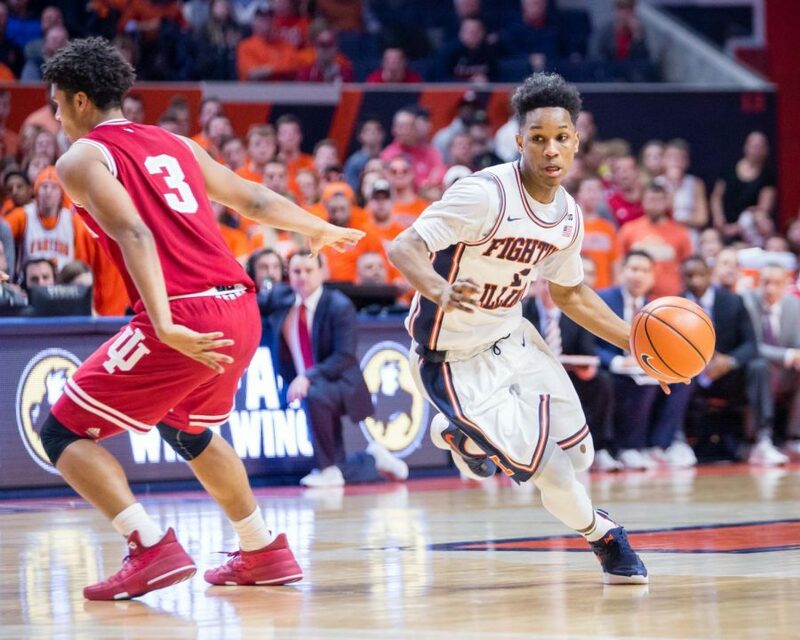 Sure, the Illini have their fair share of athletes, but the overall speed and finishing abilities down low were extremely evident when watching a team like Penn State, Michigan or other top teams in the conference. This only emphasizes how important it will be for Underwood and his staff to land a guy like Tevian Jones or Demarius Coleman, simply because they can do all of those things at the rim. 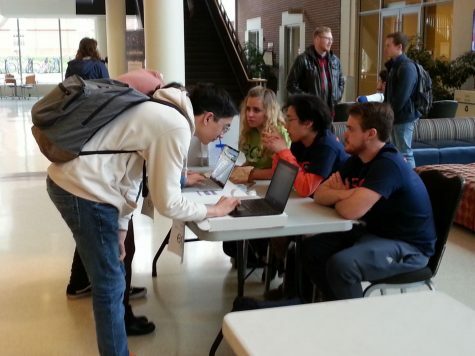 Additionally, even though the Illini did well on the glass against Penn State, Michael Finke’s absence was noticeable. Gregory Eboigbodin had a decent game, but he still struggles with fouling too much and has a long way to go before he can be a legitimate threat against other big men in the Big Ten. 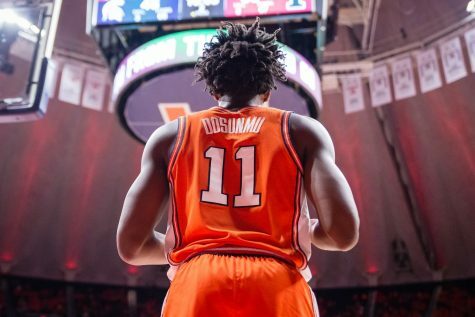 Ayo Dosunmu is a phenomenal start, but the next recruiting class will have a lot of say as to how well this team does in year two of the Underwood era. I’ve probably used the word patience about 500 times in my columns this year, but after a game like tonight, I feel the need to use it again. Right after the game I saw takes saying that this staff couldn’t coach, or those talking about the fall off from 2005, and all I have to say to that is to be patient. 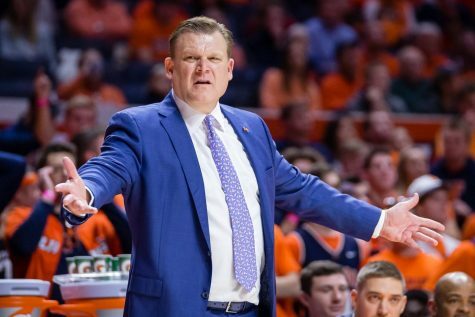 Brad Underwood is a first-year coach. 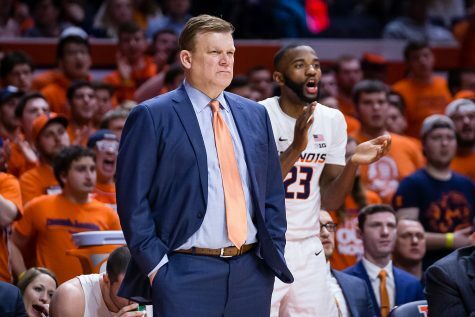 Trent Frazier, Mark Smith, Da’Monte Williams, Gregory Eboigbodin and Matic Vesel are all freshmen. This team still does not have any real prototypical Big Ten size. Sure, I and many other fans may have expected this team to be better than this right away, but looking back on it, that was foolish. They are inexperienced, lack a lot of the talent that a team like Michigan State or Ohio State has, and there is plenty of room to grow. 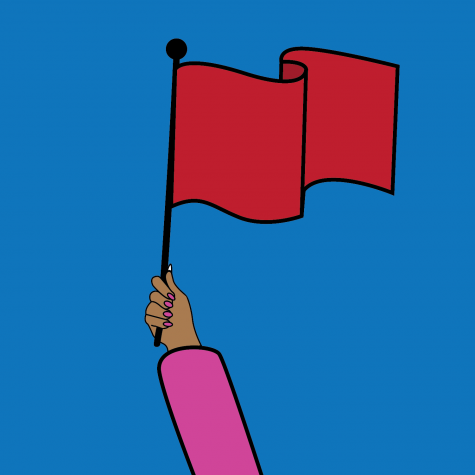 But, even with that said, it is important to give them the time to do that growing. Underwood is a phenomenal coach, but the man is not a miracle-worker. 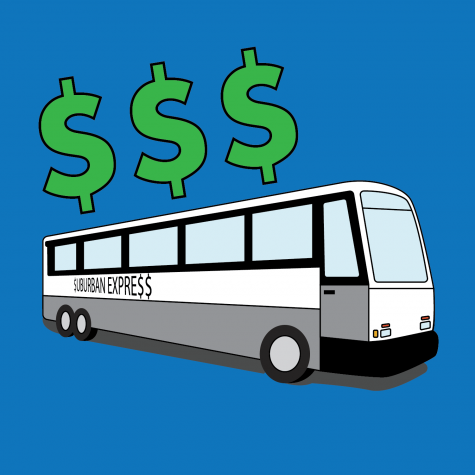 The program is heading in the right direction. The talent is on the way. And sooner rather than later, this team will no longer be losing 22-point games to Penn State, or even Michigan State for that matter. The future is bright, but the key is patience. Fortunately, the Illini have an easier test in their next game. 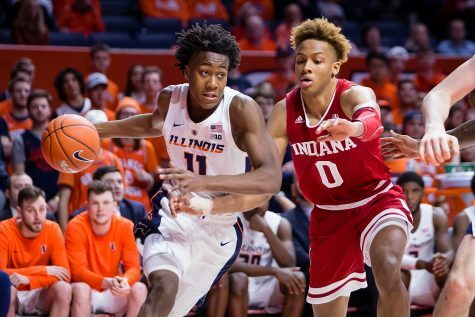 After winning their first Big Ten matchup of the year in the previous matchup, the Illini will hope to go into Bloomington and secure another victory before finishing out the season on a tough stretch with Purdue and Michigan State. The team has a couple days off before the game, so look for the possibility of Finke returning in that game, and hopefully a full roster to take on the Hoosiers.